You are currently browsing the category archive for the ‘The Cigarette Noise’ category. In Roman thought, there were five canons of rhetoric: invention, arrangement, style, memory, and delivery. Invention dealt with the process of developing thoughts that were worth expressing, arrangement with the organization of said thoughts, style with the form and structure those thoughts would be expressed with, memory with the ability to recall the previous thoughts and their arrangement and style, and delivery concerned actually expressing those thoughts in speech. Most people are better at certain canons than others: some have excellent ideas but struggle to arrange them, format them, remember them, or express them; some have weak or uninteresting thoughts but are really good at either arranging them coherently or delivering them forcefully. But what about those who are exceedingly good at remembering their ideas and their arrangement? What value exists in memory in an instantaneous society that relies heavily on technology for recall? Let me be more concrete. I have an excellent memory, the kind that recalls details and nuances of situations that themselves have been forgotten by other folks. (I’m not bragging, it’s just true, and it’s not even worth bragging about, as I’m attempting to prove.) Thousands of years ago, this trait would have made me very culturally relevant, as those who could retain loads of information were indispensible in a preliterate age. But, as time went on, and people started keeping track of things and developing things like maps and guidebooks, memory became less important. However, being able to recall the way certain thoughts were arranged, structured, and presented in the past remained important, because it allowed people to remember the specifics of how certain events unfolded and the human response to those events. This was certainly advantageous at one time. Now though, in what some are calling a postliterate society, where written words are becoming less essential and orality (specifically, Walter Ong’s secondary orality) is reemerging as the go-to form of communication in developed societies, memory may be more useless than ever. Because we spend so much time projecting our thoughts through various electronic means—Facebook, Twitter, YouTube, blogs—remembering the details and nuance of events is as simple as recalling them electronically. Let’s consider an example: say that five to ten years from now people begin discussing and reevaluating the life of Michael Jackson, realizing that the outpouring of love for the pop star has largely overshadowed what some people remember to be a pretty deranged and morally questionable life. When the MJ defenders are confronted with this, they may argue that this is not true, and perhaps they say that much was made of his shortcomings in the media coverage and public response to his death. Now, fifty years ago, we would have some newspaper and magazine articles to look at, but we couldn’t really settle this debate without the assistance of people with memories of the incident recalling reactions and responses that happened at the time. Ten years from now, we’ll simply have to search YouTube, Twitter, Facebook, and the blogs, and we can easily start to see a definitive picture of what the popular response to MJ’s death was, and this will certainly hold more weight than the collective memory of those involved with the debate. Of course, there will always be those who claim, “I remember how it was—I was there,” but this sort of response is becoming less relevant and, certainly, less trusted than recorded electronic sources. This is not to say that human memory is unimportant, but rather to pose that maybe it is less important than ever before. This sort of change happens all the time in human history, it just usually doesn’t happen so quickly. That is to say, I can remember a time when memory mattered. I hate advertising that directly attacks the competition. Subway’s ads are notorious for taking on McDonald’s, which seems extremely silly, because Subway’s main contention is that their food is healthier, a fact that almost everyone already knows and agrees upon, but still chooses to eat McDonald’s over Subway’s anyway. To me, it’s a huge imaging mistake for Subway to acknowledge McDonald’s, because to do so is to remind everyone that McDonald’s kills Subway in sales and does so without acknowledging that their competition even exists. Judging by their ads, McDonald’s is all the Subway folks think about. Of course, if McDonald’s were to suddenly start making public claims refuting Subway’s attack ads, it would seem petty and childish. Even though Subway drags their image through the mud, McDonald’s would only do it worse by acting publicly offended by that lardass Jared. This is a lesson that AT&T hasn’t learned. If you haven’t heard, AT&T is suing Verizon over ads that the latter ran comparing the 3G networks of both carriers. The ads point out that Verizon has five times more 3G coverage in the continental United States than does AT&T, a company that dominates the smartphone market on the basis of its iPhone-exclusivity contract. AT&T claims that the ads are misleading, because they say that viewers may think that the white areas on the AT&T map have no coverage, when in fact most of it is covered by the 2G (“Edge”) network. This might make sense if not for the fact that the ads are explicitly about 3G coverage. The bigger problem here is that AT&T has a notoriously bad 3G network that is too small in coverage and often overcrowded in areas where there is coverage. And instead of devoting energy to improving their coverage (the best option), or responding to the ads by claiming they are continually improving coverage and leave it at that (second-best option), they draw attention to their horseshit network by making a national story out of a petty lawsuit (the second-worst option, the worst being hiring a guy because he used to be fat and never second-guessing that logic). Most people don’t pay attention to television commercials, but many people do pay attention to news stories involving two of the biggest telecommunications companies in the country. Doesn’t anyone at AT&T realize this? Take a page from the McDonald’s playbook next time: take the high road by ignoring the petty attack ads, and instead get revenge by dominating in sales. Or do it your way: make a little problem a big problem, and deflate your own branding and image in the process. 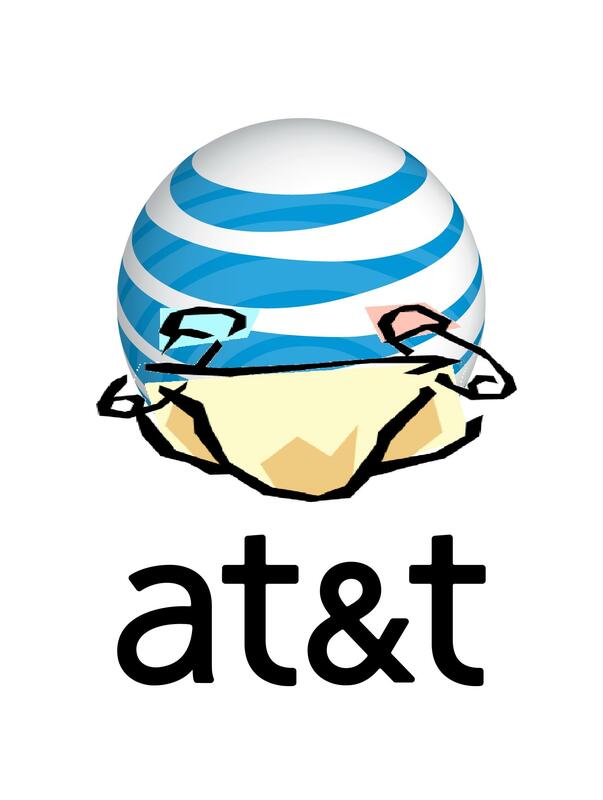 Grow up, AT&T. If you watched a movie about a guy who wanted a Volvo and worked for years to get it, you wouldn’t cry at the end when he drove off the lot, testing the windshield wipers. You wouldn’t tell your friends you saw a beautiful movie or go home and put a record on to think about the story you’d seen. The truth is, you wouldn’t remember that movie a week later, except you’d feel robbed and want your money back. Nobody cries at the end of a movie about a guy who wants a Volvo. Now, before I go any further, I should note that Miller uses this example as a way to highlight the sort of meaningless drivel we base our lives around, and his book is basically about trying to find a better story for our lives. It’s all a bit clichéd and simplistic, but I’m basically on board with Miller’s message. His Volvo example, though? Terrible. Miller may be one of this country’s best-selling authors, but he’d make a poor screenwriter, precisely because of the line of thinking shown above. Miller assumes that a movie about a Volvo would be boring and shallow and, thus, so to would a life centered on that same story. What he fails to realize—or chooses not to realize in the interest of an introduction that will appeal to uncontemplative readers in the nation’s bookstores—is that stories about Volvos are never just stories about Volvos. Anyone who would spend years working towards buying a certain type of car has layers of depth and character that would make for a fascinating film and probably even a great documentary. In fact, in the hands of someone like Alexander Payne, it could be one of the most meaningful, emotive films you’d ever see. Miller’s thinking, of course, reflects that of most major movie executives, and might help to explain the deteriorating state of mainstream movies in the U.S. 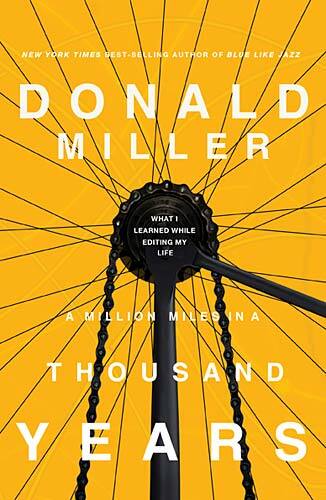 Still, though, it’s troubling to think that unreflective twenty-somethings are going to read Miller’s book and think, Wow, I really have to make my life about something big, without realizing that something big underlies everything we’re already pursing, Volvos and all. We don’t need more people trying to save the world through politics, charity, and religion; we need better engagement with those things by the Volvo crowd. Changing your dreams isn’t helpful; identifying what your dreams already are, and then finding a way to make those dreams big could be. I actually think Miller would agree with these sentiments, it’s just a pity that he chose to introduce his new book with an example that undermines them.